No Limits is fortunate to offer an exciting opportunity to our active youth. 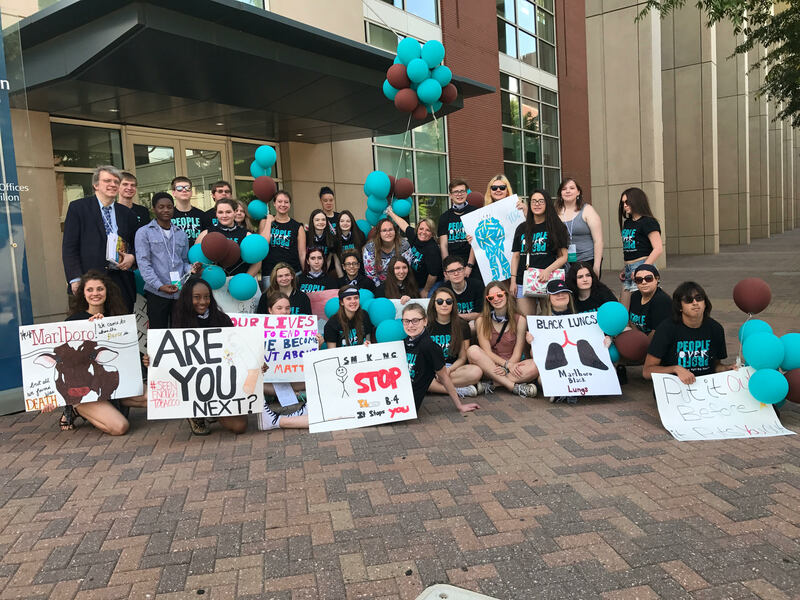 No Limits is a youth-led group that’s all about taking a stand against Big Tobacco, and this opportunity allows youth to take the fight straight to the source. We will be working with a group called the New York Reality Check who shares our mission to educate and empower youth to seize control of the fight against Big Tobacco. This is an opportunity for the best of the best No Limits youth to travel to Richmond, Virginia and attend the Philip Morris shareholder meeting. Up to four youth will be able to attend this event, where they will get to address corporate tobacco executives and their shareholders. Some advocates will have the ability to use proxy tickets to actually go inside the shareholder meeting and make comments/ask questions. Other youth will participate in the activism outside the meeting venue. Completed applications must be received by April 20, 2018 to be considered. If phone interviews are necessary, they will be April 23—24. Information packets will be sent out by April 27.